So, I was just sitting here at my desk working and it occurred to me. 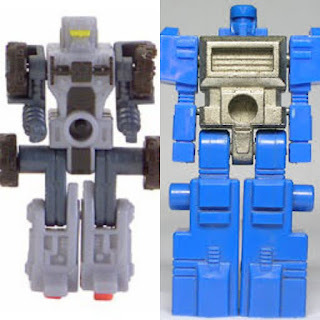 The Leader-1 Mini-Con mold looks a lot like a Blockman. Considering the combining nature of classic Mini-Cons, I wonder if this was an intentional homage that just went by unnoticed. Because a happy accident like this with Takara engineering would have been crazy coincidental.